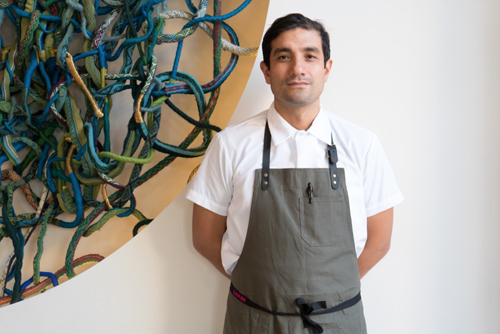 On today’s episode of THE FOOD SEEN, Erik Ramirez grew up in New Jersey with his Peruvian-Japanese grandmother. Decades later, his restaurant Llama Inn in Brooklyn, is in exploration, and honor to, his blended past. There’s a long history behind Nikkei cuisine, a proverbial bridge blending Peruvian ingredients and Japanese techniques, which sees ceviche in a similar vein to sashimi, anticuchos (grilled skewers) akin to yakitori. Just like the great expanse between the Andes and Amazon, there’s a range of flavors that are found at Llama Inn, worlds apart, bound by Brooklyn.